A type, I would liked to have got many more of. This one from VF-143 "The Pukin' Dogs" (what a delightful name for a unit). 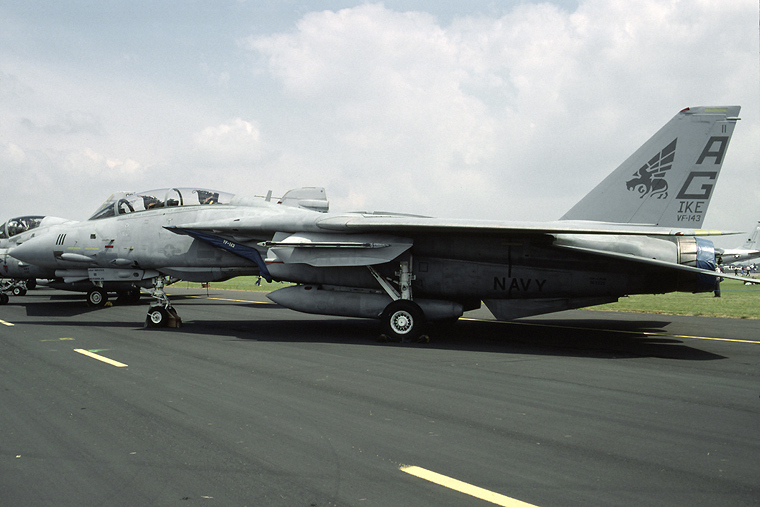 Now departed from our skies (except possibly a handful flying in Iran).This one, is actually officially an F-14A+.